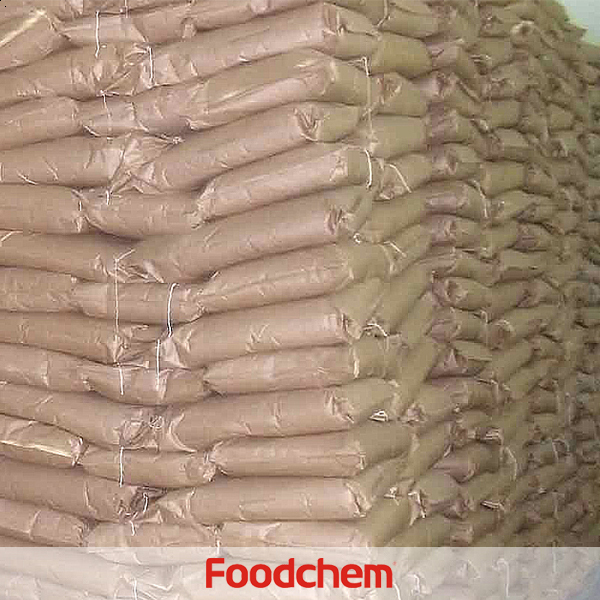 Polydextrose is one of the popular food additives and ingredients in most countries, As a professional Polydextrose supplier and manufacturer, Foodchem International Corporation has been supplying and exporting Polydextrose from China for almost 10 years, please be assured to buy Polydextrose at Foodchem. Any inquiries and problems please feel free to send emails to us via sales@foodchem.cn, we will reply you within 1 working day. Polydextrose is an indigestible synthetic polymer of glucose. It is a food ingredient classified as soluble fiber by the U.S. Food and Drug Administration (FDA) as well as Health Canada, as of April 2013. It is frequently used to increase the non-dietary fiber content of food, to replace sugar, and to reduce calories and fat content. It is a multi-purpose food ingredient synthesized from dextrose (glucose), plus about 10 percent sorbitol and 1 percent citric acid. Its E number is E1200. 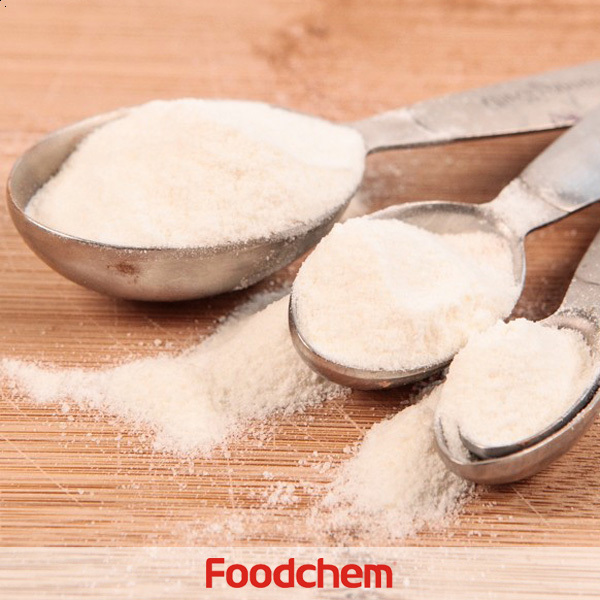 The FDA approved it in 1981.Polydextrose is commonly used as a replacement for sugar, starch, and fat in commercial beverages, cakes, candies, dessert mixes, breakfast cereals, gelatins, frozen desserts, puddings, and salad dressings. Polydextrose is frequently used as an ingredient in low-carb, sugar-free, and diabetic cooking recipes. 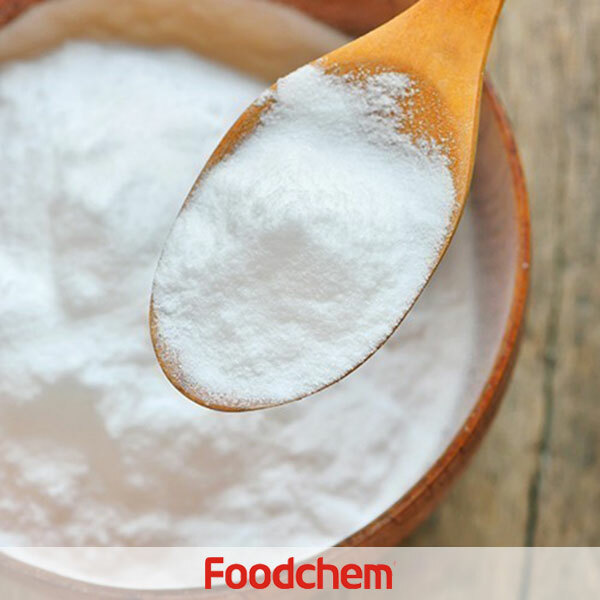 It is also used as a humectant, stabiliser, and thickening agent.Polydextrose is a form of soluble fiber and has shown healthful prebiotic benefits when tested in animals. It contains only 1 kcal per gram and, therefore, is able to help reduce calories. 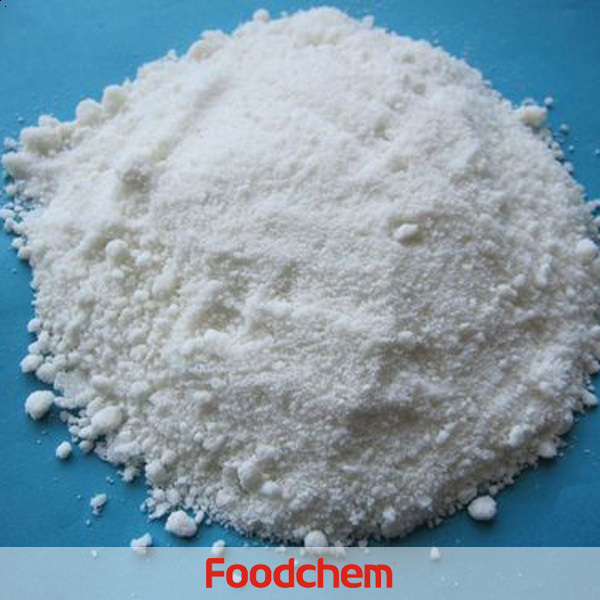 Foodchem is an ISO2008 9001 certified company, as for Polydextrose, we can offer HAPPC, KOSHER, HALAL Certificates, ect. 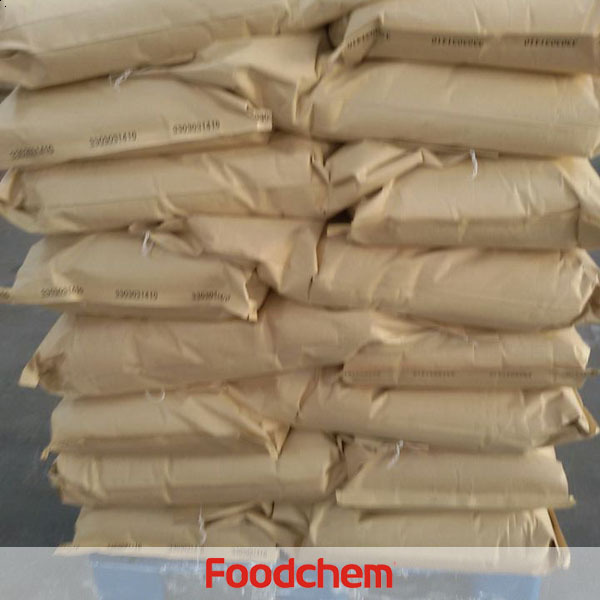 Foodchem is both manufacturer and trading company, we are Polydextrose distributor, at the same time, we are manufacturer of other products. 3, What is the Min Order Quantity of Polydextrose? 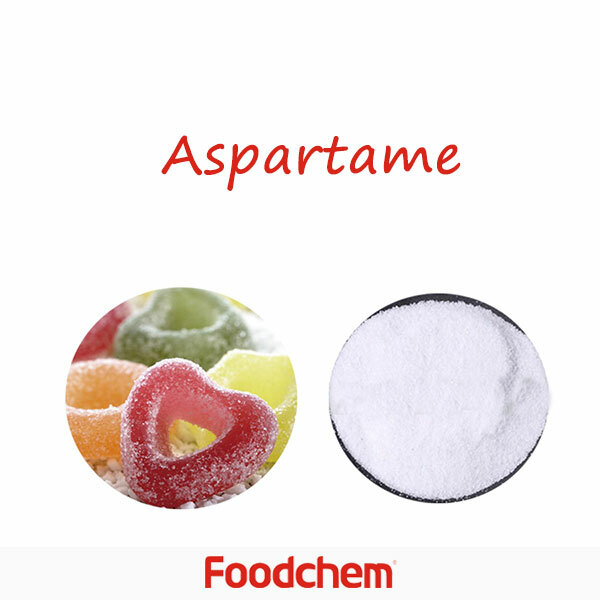 Different products have different MOQ, for Polydextrose, the MOQ is 500kg. 4, What is the price of Polydextrose? 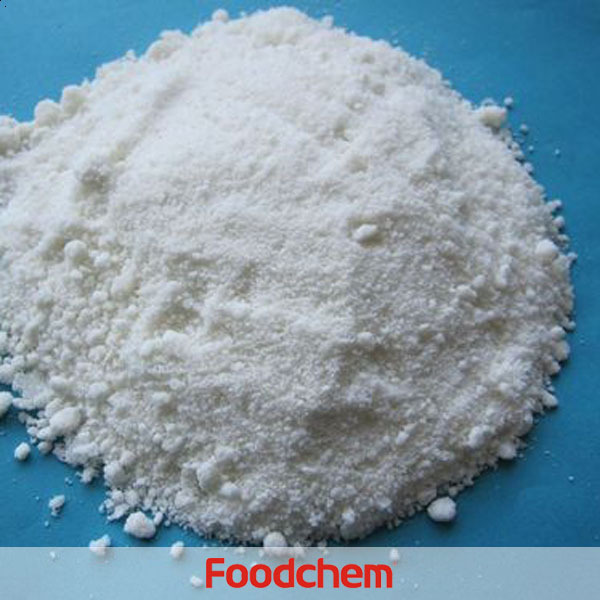 Foodchem is a famous supplier and manufacturer of Polydextrose in China, and has been corporate with many Polydextrose suppliers for several years, we can provide you with cost-effective Polydextrose. We can guarantee to reply your inquiries of Polydextrose in less than 24 hours in working days. HeloiseQ : I would appreciate to receive your best offer for 1000KG Polydextrose.By the time can you email me the offer, please also inform:Lead time (availability)Offer expire date? Georgios MavropoulosQ : We are a sweetener production and distribution company in Greece,we are interested in your product Polydextrose.We would like to konw the mesh size of your polydextrose and price for one container cif Greece. 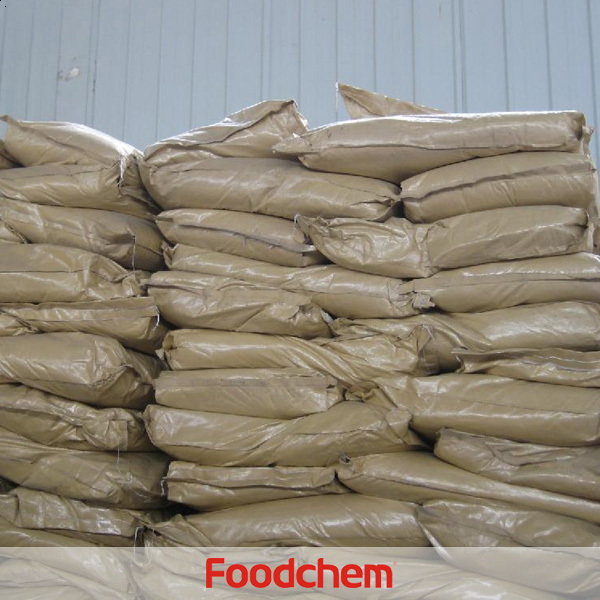 FOODCHEM A : Well,thanks for your inquiry,our sales manager has contacted you via mail, pls kindly check. BelisaQ : We're interested in sweeteners to increase our product portfolio with this new specialty according to the market demands. So, We'd appreciate if you could send us more information about Polydextrose powder and the possibility to send us a sample. 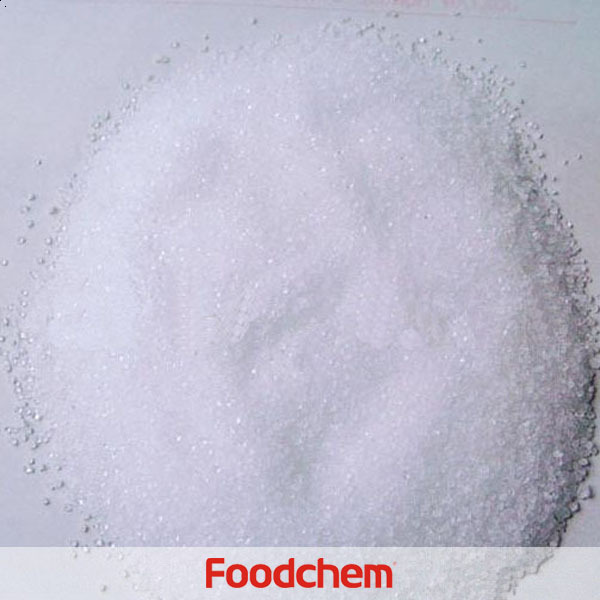 FOODCHEM A : thank you for your inquiry, we have just sent the related info of polydextrose to you, samples are available to negotiate with our sales.